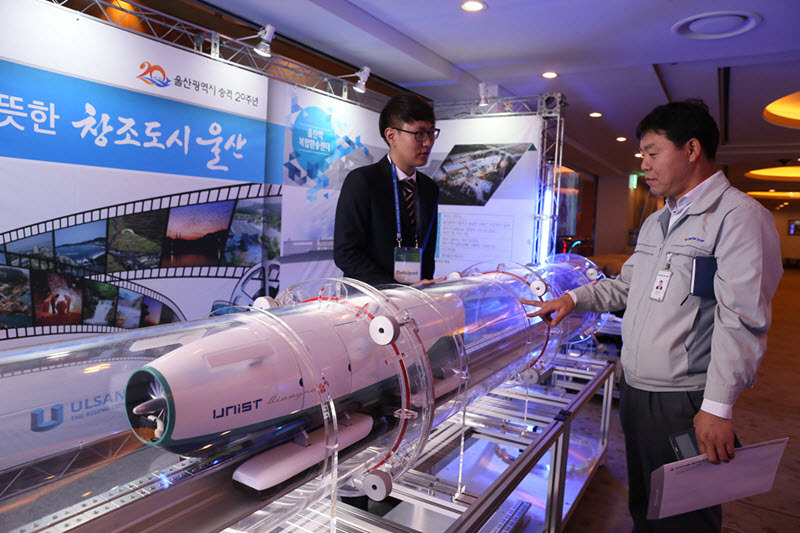 Graduate student Hyeun-Tae Cho represented the PEARS lab in exhibiting the U-Loop future transportation system at the International Public Transportation Forum held in Ulsan, South Korea. The research project on the U-Loop is a collaborative project, with the PEARS Lab designing and implementing the linear motor drive and photovoltaic system. Hyeun-Tae helped demo the small-scale U-Loop prototype at the exhibition, as show below (original photo here).